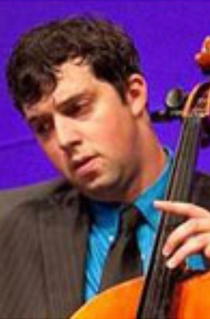 Cellist Jacob Wenger is a native of Raleigh, North Carolina. He performs with the Chamber Orchestra of the Triangle, North Carolina Opera, Carolina Ballet, Tar River Philharmonic, and subs with the North Carolina Symphony. Mr. Wenger is also Assistant Conductor of the Triangle Youth Orchestra. In addition to his work in the classical realm, he performs in national tours of Broadway productions at the Durham Performing Arts Center. Wenger also plays with New Music Raleigh, one of Raleigh’s most adventurous performing arts group, which only performs the works of living composers. Mr. Wenger has also performed with the “Requiem for Darfur” Orchestra in Carnegie Hall, an orchestra which included some of the best orchestral and chamber musicians in the United States and Europe. Mr. Wenger studied with Margo Drakos, Zvi Plesser, Marcy Rosen, and Jonathan Kramer. He has also studied chamber music with Robert Mann, Sylvia Rosenberg, and Jeffrey Cohen.